It is Thanks-Giving Day! I am so grateful for family and friends and for the bounty that will be set upon my table today. Over at Stampin’ Sisters in Christ, their Challenge #66 this week was to “create a card or project that shows your thankfulness to God.” So this card is for that challenge. 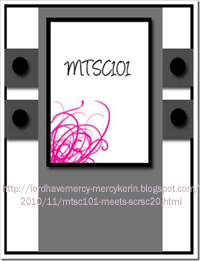 And I had so much fun using this fabulous Sketch #101 that I found on Mercy Kerin’s blog “Lord Have Mercy”! Wishing you a wonderful and Happy Thanksgiving! 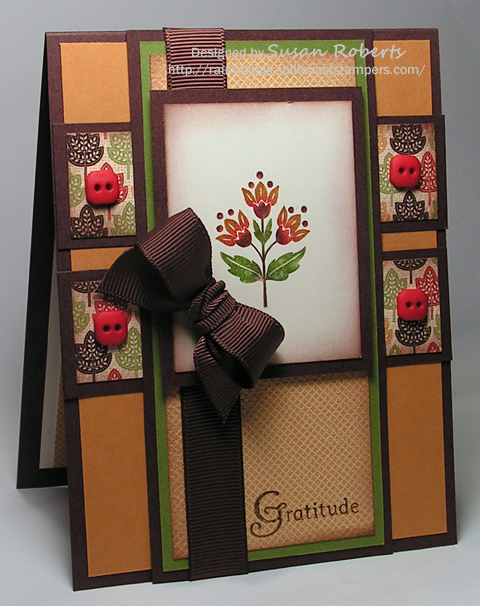 All products used on this card are from Stampin’ Up. This is beautiful, love the colors and design. Thank you for joining us at Stampin Sisters in Christ. Fabulous use of Mercy’s sketch. This card is darling. Happy Thanksgiving!! absolutely stunning! lovely colors and layout! I need to get back to my stamp room…so missing my stampies! This is such a pretty card! I love the layout and the stamp goes so great with it! I love this card! The colors and layout is exceptional – thank you for joining us at Stampin Sisters in Christ. 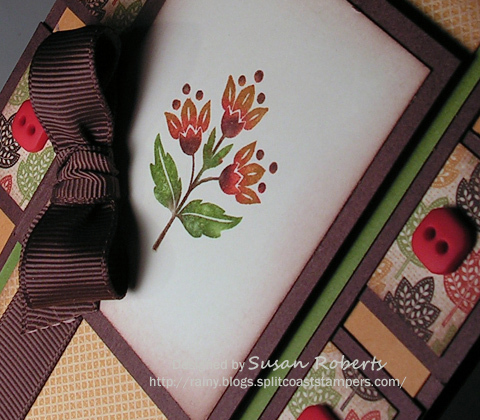 A very beautiful card Susan! I love the colors, the buttons, and that bow is absolutely perfect! Susan, this is beautiful! I love your colours and the clean detailed design! What a beautiful card!! I hope your Thanksgiving was fabulous! Wow! What an mazing card! Happy Thanksgiving to you and family, Susan! so pretty, love the colors, papers and design!! Happy Thanksgiving! Very pretty Susan. Hope you had a wonderful Thanksgiving. Beautiful…love the colors and the image matches the paper perfectly! Hope you had a wonderful Thanksgiving with your family! Susan, this looks like a beautiful present all ready to open…simply lovely and so serene! Oh my gosh, I think that DP was MADE to go with that image…GORGEOUS card! Great card; love the bubbly bow & buttons; beautiful coloring of the image! This is beautiful! Hope you had a wonderful Thanksgiving! Susan … I so adore the colors here, plus that darling image as the center focus! Great use of this sketch indeed! Hope your Thanksgiving was full of love & blessings. Beautiful! I’m kinda sad to quit making fall cards…but snowy ones are fun too.